Oakland-based Kaiser Permanente is gearing up to develop 9.7 acres in North San Jose at the intersection of Skyport Drive and Technology Drive. The healthcare provider wants to build a 153,000 SQFT medical facility with 103 medical offices. 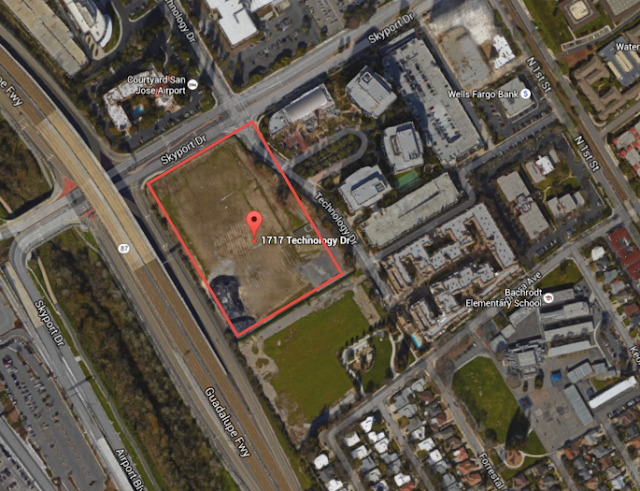 Kaiser purchased the empty plot of land almost three years ago and has just now submitted a formal development application. While many living in San Jose choose Kaiser as their provider, there are currently zero Kaiser facilities in the North San Jose area. Fortunately, that will soon change. This is great news, and more significant to the development of North San Jose than it appears on its face. Attracting services like doctor's offices, UPS stores, bank branches/ATMs, etc. will make a more complete community with more options for people to walk, bike or ride transit - or at least take shorter car trips. I do wonder if any health complications can result from being so close to the airport and the freeway. Only when you walk from your car to the building =). The air pollution in San Jose is at an okay level for most days. It is far better than LA and will improve over time as more people switch to electric cars (or at least hybrids) as that is far and away the #1 source of our pollution, not the airport or industrial plants. When is it going to open at Skyport? Does anyone know?